GECOL has added 60MW of new capacity wth the opening of two turbines in Tripoli. 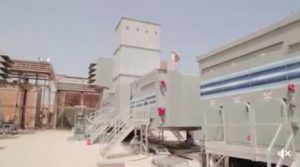 The new plant, at Tripoli West power station was opened by Ali Mohammed Sassi, the state electricity supplier’s new chief executive. Sassi was installed earlier this month after Presidency Council (PC) head Faeiz Serraj fired the GECOL entire board earlier this month in the face of rising fury at regular and extended power cuts. While the work on the new generating sets was started under the old management, Sassi said that he believed that the new capacity would make a real difference in coping with the high summer power demand in the capital.